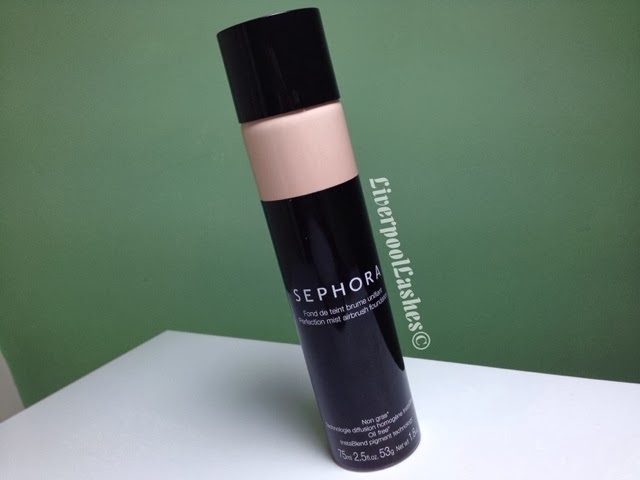 I was very excited to purchase the Sephora Collection Perfection Mist Airbrush Foundation whilst I was in the States in October as I considered it to be the budget version of Dior Airflash. The store assistant matched me up to 'fair' and even emailed me all of my shades in different foundations in the store which I thought was pretty snazzy. Once I was home but before I tried it, I watched a review video on You Tube and the girl sprayed it on, thought it hadn't sprayed so redid it a few times. She ended up going totally overboard so I was mindful not to do that. I sprayed it once on my face and when I opened my eyes my skin didn't look much different initially because it's such a fine mist. Then I looked a little closer and I realised it had given me a flawless base and partially covering my imperfections. I can see why it's so easy to go mad with a second coat as it's almost like it's too easy and your brain thinks you need to do more. 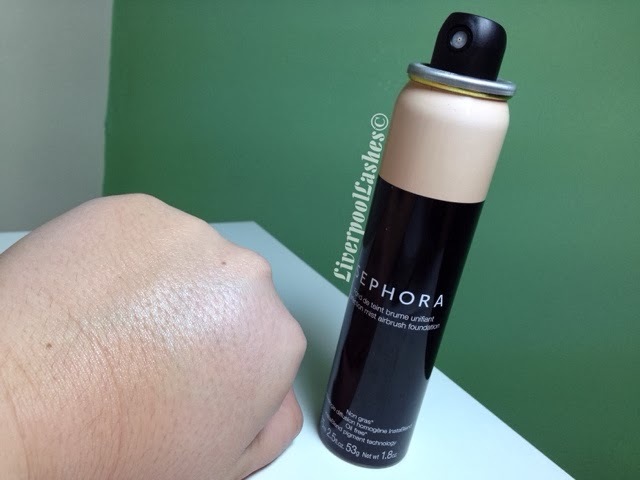 One spray gives you similar coverage to a regular foundation and then you go in with your concealer and cover any blemishes, etc. 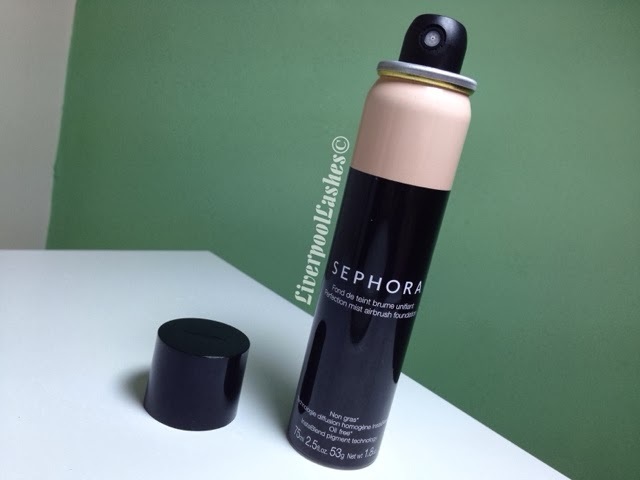 The bottom line is... this fine mist really does a great job and the colour match was perfect for me. The biggest downside to this product is the fact that after you spray your face you have to wipe it from your eyebrows and hairline. I absolutely hate the feeling of products getting in my hair so you'd be best to get yourself organised with a wide headband covering your hairline before application. Apart from that it gives a beautiful skin-like finish and I really enjoyed it!